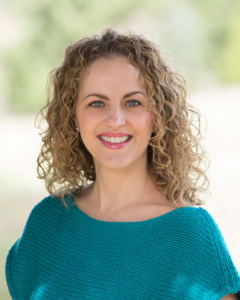 (ELMA, WA) –Summit Pacific Medical Center recently welcomed a second naturopathic physician, Dr. Nicole Taylor, who will be seeing patients at McCleary Healthcare Clinic during the week and on Saturdays at Summit Pacific Healthcare Clinic. Dr. Taylor is a naturopathic physician providing family medicine with a focus in women’s health, from adolescence through and beyond menopause. She has extensive knowledge and experience in hormone replacement therapy and weight management. Saturday primary care appointments are new to Summit Pacific in an effort to create more access for those seeking healthcare. It is important for patients to have access to healthcare that meets their needs and that more appointments are offered during hours when people are most available. SPMC has been working to increase access to healthcare in our community in a variety of other ways including introducing the 24/7 virtual care clinic, opening the urgent care clinic, then drastically expanding the hours of urgent care to 12 hours a day, seven days a week and with the addition of Saturday clinics for children. To schedule an appointment with Dr. Nicole Taylor, or information on the Saturday clinic for children or any services offered by Summit Pacific, call 360-346-2222. I have deep concern regarding the lack of care my son Max Lane DOB 3/2/98 received April 17/18. Unfortunately I live four hours away so I wasn’t physically there in the room when Max was in the ER. The beauty of modern technology is that I was on speaker phone during the whole encounter Max had with the ER physician and the ER nurse. I began recording this incident when it became clear there are very low standards of care within your facility. Max tried to explain his concerns and the conditions of his past head trauma. He is in a welding program and has been advised to have his eyes checked prior to any scans due to possible metal fragments in his eyes. We will be reviewing the recording as we read over the medical records that you produce for us. I did call and ask to talk with the House Supervisor Nicole who did advise I would need Max to give or sign a release for information. My husband and I encouraged Max to seek medical attention if he was in extreme pain. His girlfriend drove from Aberdeen to your hospital to get him the best possible care and it ended up being an upsetting display of unprofessional behavior by your medical staff.